Posted by Jace Stolfo on Monday, June 2nd, 2014 at 10:10am. 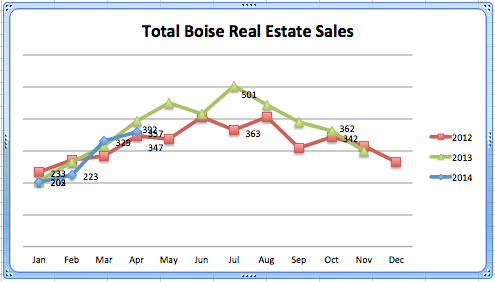 Of the 257 home sales April of 2014 (in Boise), 90% of them were non-foreclosures; 6% HUD/Bank owned homes and 4% short sales. 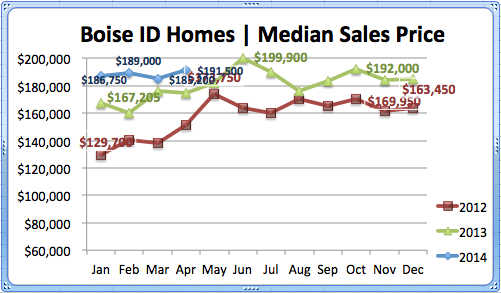 Non-foreclosure sales in April went up 12% from the previous month, while HUD/bank owned homes & shorts sales went down a couple of percentage points from the month prior. 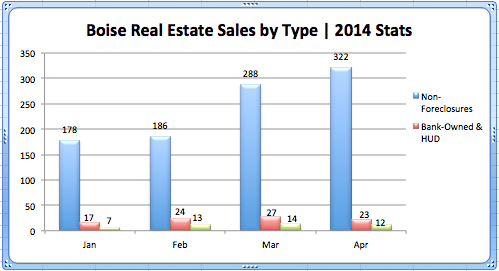 As you can see below the foreclosure rate was lower in April '14 than it has been for several years, down to 9.8%. This shows a 10% drop from last year and a 26% drop from April of 2012. The foreclosure rate was a whopping 59.2% in January of 2012 and has dropped 49% all the way down to 9.8%. 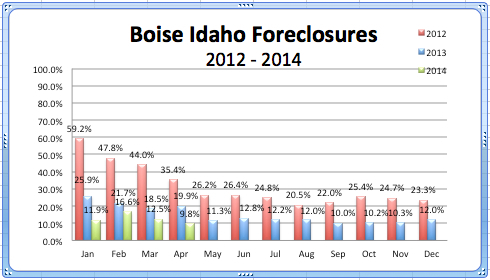 You can also see that the foreclosure rate has been dropping from the beginning of 2014.